I am an enthusiastic supplement taker! I even love reading about them and get excited when I discover new ones. All my friends marvel (and I suspect are slightly appalled) at how many I take! However, people are forever asking me what they should be taking. Writing an article on supplements was therefore a priority. I called Shabir Dama, pharmacist at Victoria health, for some expert advice and he referred me to an article he had already written on the subject. It was perfect as it suggests exactly the top 6 supplements that I would suggest. I am constantly asked which supplements I take and which supplements are essential to take on a daily basis for optimal health. I believe that certain high quality supplements work really well together to complement a healthy diet and they will help boost your health and wellbeing. There is so much conflicting information about correct supplementation and because not all supplements are created equally, I have written this article to help you make an informed choice. So what are my top six supplements? 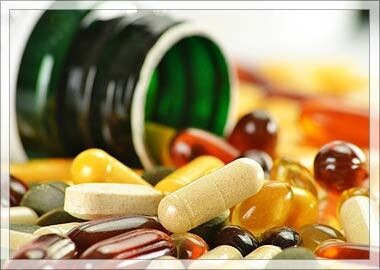 Walk into any supermarket, pharmacy or health store and you will see a vast array of multivitamin/mineral supplements. So with all this choice which one should you buy? Before I go any further, the most frequent question asked is ‘do I require a multivitamin?’ The answer is YES and I am going to briefly explain why this is fundamental to your overall health. Numerous studies indicate that by the time processed foods reach the table, there could be serious losses in their nutrient content, not just due to cooking the food, but also during manufacture and storage where antioxidant nutrients get oxidised rendering them ineffective. It is for this reason that I believe that a multivitamin/mineral supplement is fundamental for optimal health and should complement a good diet. So we come back to the hundreds of choices of multivitamin supplements on the shelves! Unfortunately, the vast majority of multivitamins contain synthetic vitamins or semi-synthetic nutrients with some using mega doses that can actually do more harm than good. I normally always recommend ‘food state’ multivitamins because these contain nutrients that are found close enough to their structure in foods, rather than being synthetic in nature, or semi-synthetic, both of which are poorly utilised by the body. The body does get its nutrients from food, so why not take a multinutrient that closely resembles, or is actually chemically identical, to that found in food. I normally recommend a very comprehensive multinutrient such as All Natural Perfectly Balanced by Natural Nutrition Centre with a dosage of two tablets twice a day preferably with some food. This supplement provides all the vitamins, minerals, digestive enzymes, green foods and a lot more, all in their natural state for ease of absorption and hence utilisation by the body. For those of us with not time to ingest four tablets, I would recommend the use of My Favorite Multiple Energizer by Natrol, take one tablet daily with food. This supplement provides all the basic vitamins and minerals, and again is highly absorbable. I have for some time now been impressed with the data coming out on krill oil. We all know that our bodies cannot manufacture essential fatty acids and so we have to ingest these by way of food. Unfortunately, it is virtually impossible for the majority of us to eat two or three portions of oily fish on a daily basis. For those of us who believe that vegetarian sources of essential fatty acids such as flaxseed and hempseeds will be sufficient, think again. Vegetarian sources of essential fatty acids simply do not convert into EPA and DHA in sufficient doses to make a difference. The best way to ensure that we get these essential fatty acids is by way of ingesting supplements of fish oils or krill oil. Krill Oil is on my list because not only does it deliver the essential fatty acids at a cellular level, but it is most definitely free from mercury and numerous toxins that fish oils may contain. The supplement that I take is Power of Krill by LifeFlo and I recommend a dosage of two capsules daily. Ageing is a multi-faceted process and the cells of our bodies have a finite lifespan. Free radical damage is one of the theories of the ageing process which is well documented with antioxidants being the buzz word. These free radicals can damage the tissues of the body and the genetic material in the individual cells. If there was a supplement that limits free radical damage then that could potentially affect the ageing process and to this end I recommend Co-Enzyme Q10 as another essential supplement. It is involved in the production of the power-house molecule ATP (adenosine triphosphate) which fuels every single cell of the body ensuring that these have the energy to reproduce and regenerate. It oxygenates all the muscle and soft tissues of the body helping to enhance energy production. The most important muscle tissue within our bodies is the heart muscle tissue which is why it is of benefit in cardiovascular health. This same oxygenation also helps to prevent the bacteria that live in the pockets of gum tissues from thriving and hence protects against gum disease including gingivitis and bleeding gums. It prevents the oxidation of cholesterol within the bloodstream ensuring that cholesterol does not stick to the arteries and veins. It may help to protect the degeneration of the nervous system. Many people take Co-Enzyme Q10 by way of supplementation and indeed those on cholesterol medications will already know that statin drugs deplete this vital nutrient in the body. However, Co-Enzyme Q10 has to be converted by the body into ubiquinol before it is utilised by the body and this presents a major challenge because our capabilities of this conversion are drastically reduced by the time we reach the mid-thirties. It is for this reason that I recommend Super Ubiquinol by Life Extension which provides the active state of Co-Enzyme Q10 that your body requires. I have already mentioned earlier that free radical damage is one of the most common causes of the ageing of the body. It is for this that I also recommend the use of a powerful antioxidant called Astaxanthin. So the natural question would be ‘Is not Ubiquinol sufficient as an antioxidant?’ I don’t believe this to be the case because the body produces millions and millions of free radicals on a daily basis let alone the pollutants and toxins that the human body is exposed to. For this reason, and for the reasons mentioned below, I believe it is vital to take a powerful antioxidant with a multitude of other benefits. Astaxanthin, also known as vitamin X, is a member of the carotenoid family of powerful antioxidants. There are over 700 naturally occurring carotenoids and most people may have heard of beta-carotene from carrots and other food sources. However, astaxanthin is challenging to obtain from our diet and virtually impossible to obtain meaningful amounts as the average person would need to eat roughly 2lbs of salmon on a daily basis. Apart from scientific literature pointing to astaxanthin’s remarkable anti-ageing properties particularly with reference to skin, it is of great benefit in reducing inflammation in the body and inflammation is another theory of how we age. Inflammation is a positive response by the body to an injury or infection and is the immune system’s major defensive mechanism. Since free radicals damage the tissues of our bodies, the body reacts in defense resulting in inflammation. Astaxanthin is not only an excellent free radical neutralizer, but is also an excellent anti-inflammatory and hence this nutrient helps to counter both theories of ageing, which is why I have included it within my regime. Inflammation is also believed to be linked to memory loss and other cognitive issues with the brain, and Astaxanthin offers great promise for several neurological disorders. I recommend the use of High Potency Astaxanthin by Futurebiotics, take one capsule daily which provides a therapeutic dose of this vital antioxidant, which is derived from algae and not fungus. For centuries, many cultures have recognized the importance of probiotics, even if they were not aware of the term, by including pickled and fermented foods within their diet for intestinal health. We are now exposed greatly to chemical residues in foods and many of us regularly consume prescribed medications, which affect the beneficial bacteria of the gut. Most of us overlook the fact that we regularly consume antibiotics by eating meat and drinking milk from animals raised in farming practices that routinely use drugs for promoting growth of livestock and for preventing disease. Whilst fermented foods may have helped in the past, these simply will not provide sufficient bacteria with today’s chemical exposure, the use of antibiotics, and other factors that destroy the beneficial bacteria within our guts. Probiotics play a crucial role in immunity. Did you know that over 80% of our immunity arises within the gut? Did you know that there are more bacteria in the human body than cells? Astounding facts, but true, these bacteria manufacture vital immune enhancing compounds that ensure the optimal working of the immune system. These bacteria also help to eliminate excess acid in the gut that has seeped through from the stomach, thus keeping inflammation at bay, which is why most people with gastric inflammatory concerns benefit from the use of probiotics and they also help to provide some nutrients, including some B vitamins. The single biggest challenge facing us is to ensure that we can get sufficient quantities of these beneficial bacteria into the gut since the stomach is highly acidic and destroys the vast majority of these bacteria as they are acid-sensitive. A supplement that I recommend for children above two and adults is Mega Probiotic ND by Food Science of Vermont. This probiotic supplement contains eight strains of bacteria that are coated enterically with a protein coating protecting them from the harsh acidic environment of the stomach. The supplement is also dairy free which helps many who are sensitive to dairy products. Despite all the scientific findings about deficiencies in the adult population, and all the press articles relating these findings, most of us have still chosen to ignore the importance of Vitamin D supplementation as part of our regime. According to the Department of Health, as much as 50% of the population is deficient in this vitamin. Contrary to popular belief, Vitamin D is known to support the body’s health systems in a variety of ways and it is not inconceivable that our bodies are deficient in this. Scientific research has shown that every single cell and tissue within our bodies has Vitamin D receptors and further concludes that every cell requires Vitamin D for its well-being. Even more astounding is the fact that Vitamin D is responsible for the regulation of nearly 2000 genes in the body! The above list is by no means comprehensive and there are numerous other processes and structures of the body that require high levels of Vitamin D3. It is for this reason that I recommend D-Lux 3000 Spray by Better You, use one spray from Autumn through to Spring. From Spring till Autumn, I recommend the use of D-Lux 1000 Spray by Better You, use one spray daily. As most people understand, vitamin D is an oil-soluble vitamin which means there can be challenges absorbing it. 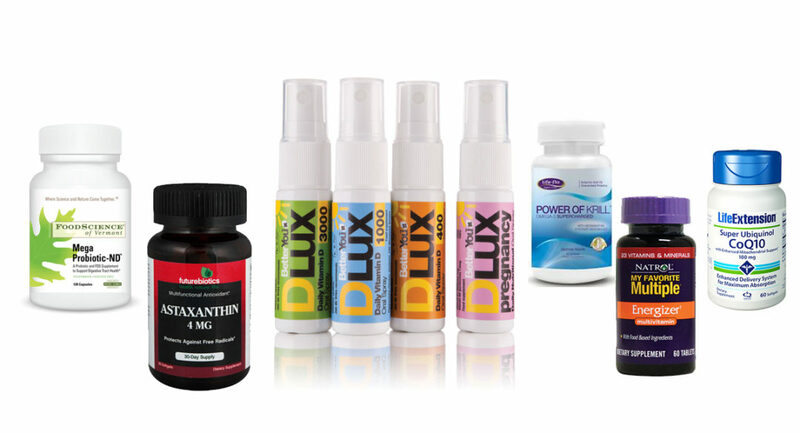 Using the D-Lux Sprays avoid the gastric route where absorption can be compromised and instead the Vitamin D3 is absorbed rapidly sublingually straight into the bloodstream. I strongly feel that the above six supplements will be a great addition to a healthy and well balanced diet and I have chosen very specific supplements to ensure maximum delivery to the body. The manufactures of these supplements have to follow Good Manufacturing Practice, a guidance that outlines all aspects of production and testing that can have an impact on the quality of a supplement. Heading into my forties I knew that some kind of supplements should be taken, but I was so confused at being bombarded by tv and general advertising. This has cleared up a few of my questions about which and what and how many etc etc. It’s true the cost of supplements do add up. You could always alternate them instead of taking them all. I’ve been taking those since you first wrote this article, and have to say it does make a difference! My question is: Do I really need to take them all throughout the year or can I stop some of them (obviously D is not really required when in the sun) and if I can stop some, which ones? Thanks. And thanks for all articles this site rocks! Using supplements can be very expensive and some people don’t like to take too many anyway. I would suggest rotating them. I would take fish oils all the time and Vitamin D only in the winter. I do think an anti-oxidant is important but would maybe use different ones at a different times. Many thanks for all these tips. Regarding vitamin D supplements, is it necessary to keep the balance with marine magnesium? Also, is cod liver oil more or less efficient than krill oil? As krill is much lower within the food web than cod, it might contain better nutrients. But it is also the fundamental food for most polar water ecosystems. So, is the advantage of krill oil worth over other fish oils? Vitamin D3 does not need to be balanced with magnesium supplementation. It helps to ensure the absorption of calcium from the gut into the bloodstream. All fish oils provide essential fatty acids in a triglyceride form. Krill oil provides these essential fatty acids in a phospholipid form which is identical to the cell barrier which means that these essential fats can easily enter each and every cell of our bodies making krill oil much more efficient than fish oil and it is estimated that krill oil is some forty times more efficient than fish oils. Additionally, krill is the first in the food chain so it is not liable to toxins unlike fish oils. Cod Liver Oil is considered the least favourable of fish oils since the liver is the detoxifying gland in the body and is liable to hold toxins which must be filtered before encapsulation. Some concerns have been raised as to the over-farming of krill for human consumption. Krill is the largest biomass on earth and less than 2% is actually harvested each year. Krill harvesting is regulated stringently under an international management of 25 countries by the Commission for the Conservation of Antarctic Marine Living Resources. It is interesting to note that out of the 2% that is farmed, almost 90% of this is used for sport fishing bait and the rest is used for human consumption with less than 1% being used for supplementation. Hi Glynis, you have three articles that are linked to supplementation. You recommend in one of them to take hyaluronic acid and others Co-Enzyme Q10. Do they do the same job? Do you need to take both? Or is one considered better than the other? Also, do you think it’s better to take the ones you suggested or to buy a product like ‘Imeeden’ that has lots of anti ageing properties in one tablet? Thank you. HA is vital for the skin and maintaining collagen. It has many other benefits including helping with inflammation and is an anti-oxidant. COQ10 is a very powerful anti-oxidant and is a must for anyone taking statins. It is very good for general well being. I take both. If you only want to take one, then it depends what your priority is, skin or general well being. I’m not sure what the ingredients in Imedeen are, but if they contain both of these or a number of good supplements, then that could be the way to go. I didn’t know I had a reply or I would have replied sooner! Thank you very much indeed I will look in to taking both supplements. I’m currently taking 100mg of Ubiquinol and 12mg of Astaxantham daily. I am going through menopause and still have periods but i feel that my body is not my own anymore, as I am experiencing all sorts of health problems which I never had in my forties. I am nearly 52 and used to be a smoker for 30 years and gave up 3 months ago and I live in Cyprus so therefore have a lot of sunlight. I also work in in an office for 9 hours a day but try to get as much exercise as i can. I am currently taking evening primrose oil, menapace soya multi vitamins and vitamin A & E, as i have had very bad acne break out. I have also had a bad neck condition and been having physiotherapy for this which worked for a while and now will try acupuncture tomorrow for the first time. Hi Olympia and welcome to the site. Have you seen my articles on BHRT? Well worth a look as you’re going through the menopause and worth thinking about trying it out as could relieve a lot of your symptoms. Thirty years is a long time as a smoker and as you only gave up 3 months ago I would think your system is still adjusting and very possibly detoxing. This can be an uncomfortable process but very well worth it. Also with your the menopause your hormones will be in upheaval which could well account for the acne. BHRT should help with this. I would try taking the supplements in the article as they are the most important ones in my opinion. To help with menopause symptoms you could continue with primrose oil and if you get hot flushes you could try red rice yeast or maca. However I still think bio identical HT would be your best bet. I love this site-which I have just found for the first time! If you were to advise someone on a ‘getting started’ supplement pack-which of the above supplements would you say are crucial for anti-aging benefits, particularly of the skin? You look amazing BTW! Astaxanthin and resveratrol are particularlygood for skin.